If a major landmark were to catch fire in a city of 3.2m people, you would expect plenty of evidence to emerge on social media. Such would be the case in Madrid, Addis Ababa or Nairobi - all of which have close to 3.2m residents. But on Thursday, when a large hotel caught fire in the North Korean capital, Pyongyang, no photographic evidence emerged. More than a day later, that is still the case. 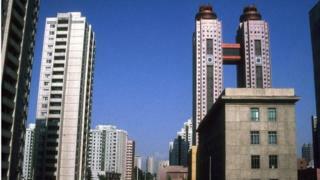 The fire reportedly hit the Koryo Hotel, which, at 143 metres (469 feet) is one of the tallest in Pyongyang. It is where the basketball player Dennis Rodman stayed while visiting North Korea, and has hosted talks between North and South Korean officials. Word of a fire started to emerge on social media through journalists elsewhere in Asia with ties to North Korea. One thing seems certain: there certainly was a fire at the 30-year-old Koryo Hotel on Thursday. Reuters saw images of smoke emerging from a walkway connecting the two 43-storey towers - but did not publish them. It quoted one source as saying there were "swarms" of police, paramilitary and state security officials. No-one from Associated Press, which has a bureau in Pyongyang, appears to have witnessed the fire, but the agency quoted one source as saying the fire consumed "several top floors" of the hotel. NK News, a well-sourced North Korea observer website, reported that the fire was extinguished after a few hours. What is not so clear? The extent of the damage is not known, nor whether there were any injuries or fatalities. North Korean state news has not covered the fire at all. It generally does not report on negative news, although last May, it ran an apology after a building collapsed, killing scores of people. That report came after five days in which it did not mention the collapse. Why are there no photos? AP's bureau chief in Pyongyang did not respond to the BBC when asked why the bureau did not file images of the fire. Simple obstruction may be one of the main reasons no pictures have emerged. "Several foreigners were apprehended for trying to take pictures of the scene," one source told Reuters. "There are certain places you just can't take pictures and there are people there to stop you," said Simon Cockerell, the general manager of Beijing-based North Korea tour operator Koryo Tours. The time of the fire may also have played its part, Mr Cockerell said. "It happened at around 6pm, so there may not have been anybody around the hotel at that time to take any pictures." Could people have posted pictures if they wanted to? Roughly one in every 12 North Koreans has a smartphone, and the country does have a 3G network. They are mainly linked to an intranet, with limited content, run by the North Korean state. Mr Cockerell said the wider internet was, however, freely available for foreign tourists on smartphones, and that he regularly uses Instagram while in North Korea. It may well be that images of the fire have not yet reached the outside world. "There are probably memory cards full of pictures that will come out of North Korea sometime soon," Mr Cockerell said. "Maybe then we we will see some pictures."